Will the Northern League, leaning like the Tower of Pisa towards the south it once reviled, emerge from the Italian elections as the biggest party? 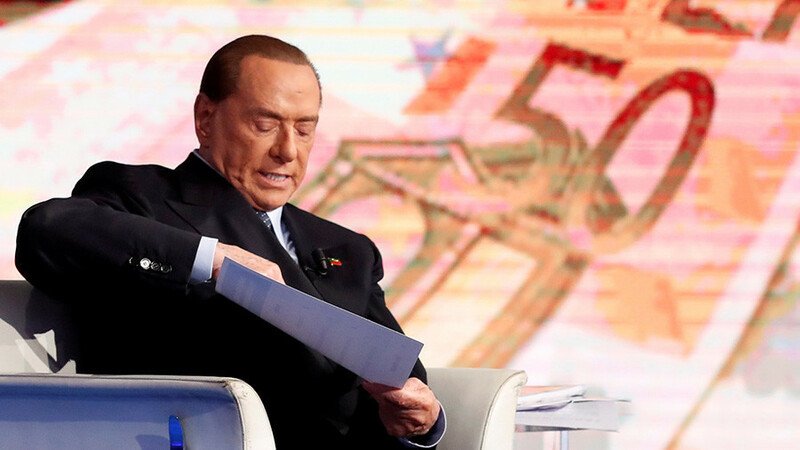 Is Berlusconi back and still ‘bunga-bunga-ing’ at the age of 81? Or will the Populist 5-Star Movement pull off the shock of the century by snatching power from the established parties? And where, oh where is the Italian left, once so strong that the US had to interfere regularly in Italian elections just to stop them? And when, oh when will Germany, the most important country in Europe, actually have a government? Who better to answer these questions than our resident continental political expert Dr Russell Foster of King’s College London. And we meet the Cheshire housewife, Leanne Brown – a footballer’s wife with a brain and a heart, who is a TV star in her own right. Whether helping her husband, Manchester United’s Wes Brown, to spread the game of football to the poor masses in India; or campaigning with One Woman at a Time, the campaign against FGM, Leanne is encouraging the empowerment of women. So, with a quarter of a million followers on Instagram, we thought she was someone we ought to invite into the Sputnik studio to tell us more and, remarkably, she found the time.